I received a Sam’s Club gift card to shop during Sam’s Club Open Weekend. All opinions are my own. I love Sam’s Club. I shop there nearly every single week. Loading up my shopping cart with bulk purchases of cereal, yogurt, granola bars and all the other food my boys quickly consume. It saves me tons of time and energy to shop in bulk and I save money, too. I haven’t always been a Sam’s Club member, though. I joined for the first time just about 3 years ago. It totally changed the way I shop. Have you ever wanted to try Sam’s Club? 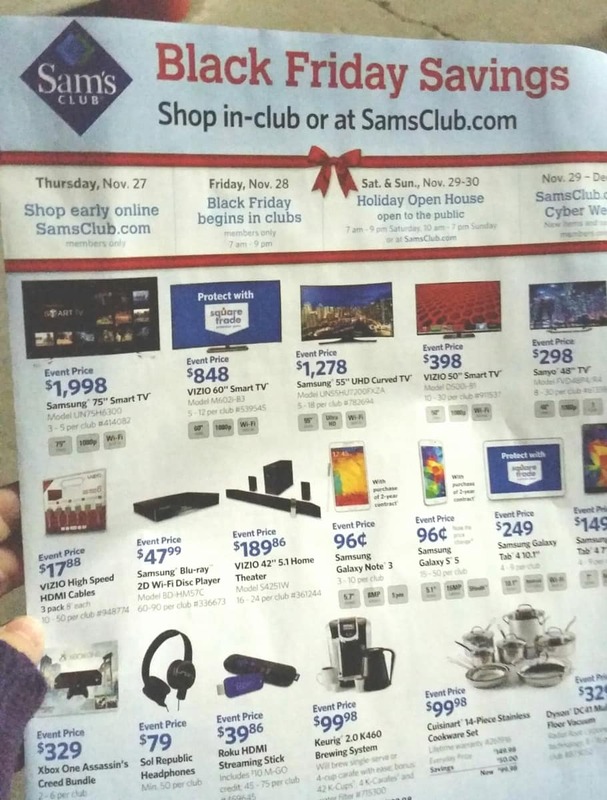 This weekend, today and tomorrow November 29th and 30th Sam’s Club is open for non-members to shop in clubs and online and score awesome Black Friday savings and shop their everyday savings from food to clothing, books, Christmas gifts and decor and more. You can use Sam’s Club Tech Center to help you find the perfect holiday gift this season. Great gift ideas include laptops and tablets, DSLR cameras, and more. 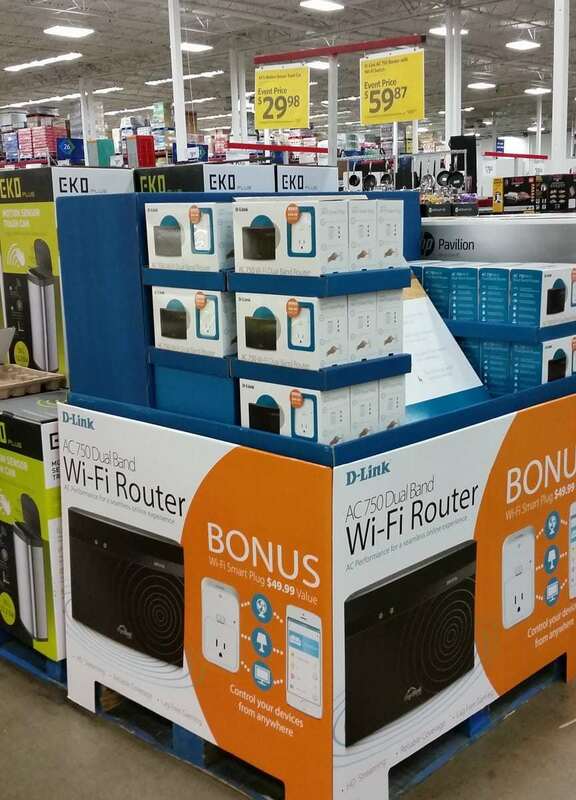 This special Wi-Fi router was one of the highlighted special offers at a great price! 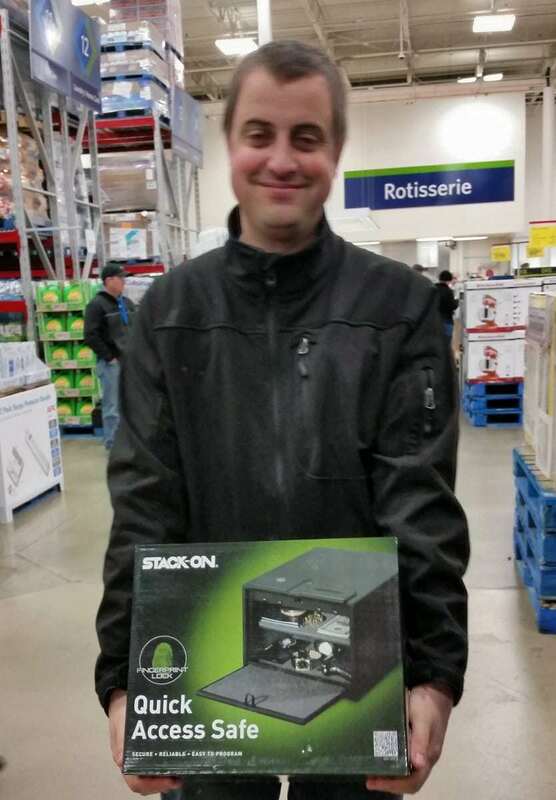 This year, we headed into Sam’s Club to purchase a security camera system and a biometric safe, two awesome tech gifts to protect our home and belongings at a great price by taking care of the limited time promotions. 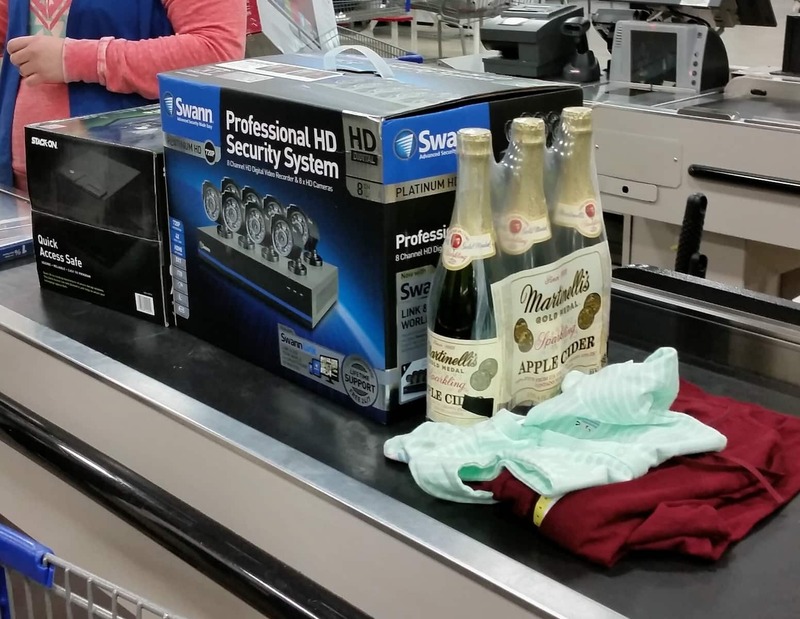 We picked up some sparkling cider, too, to celebrate. What will you shop for at Sam’s Club during their open weekend? I love that they open to non members, so there’s a good possibility that they will attract new members and of course, I love the savings! This is great! I’ve always wanted to try Sam’s Club, but I didn’t want to pay for a membership before I knew what I was getting. I’ve taken advantage of other Sam’s club weekends and trials. Once we get a freezer I think I can justify the cost of membership and all the bulk items. We have a Sam’s close by and as soon as our remodeling is finished we plan to join ours. We are putting in more pantry space so we can buy in bulk. I’ve gone with my friend and love shopping there. It’s been a long time since I visted since I’m not near one. But, would love to go, those are amazing sales! I love Sam’s Club too. I don’t have a membership but my friend does and she takes me once in a while. I love their prices and the great buys I can get there. It is a great place to shop. Hopefully I will be able to join again soon. I was a member last year but was financially unable to join this year. I wish we had a Sam’s Club close to us. I don’t think there is one in our state. I would love to see what deals thay have on printers. This is great! Didn’t realize they were allowing non members in! I see some GREAT deals! I had no idea they were open to even non members this weekend. I would love to check them out. I have had memberships at Costco but not Sams Club. Thanks! I love Sam’s Club. It’s a great place to shop every day, but its also great for the Holidays because it has something for everyone on your list.